Stories are an integral part of many children’s youth. Mothers often read to children the tales of knights in shining armor, princesses locked in castles, or, in my case, the story of a spunky kindergartener who finds herself in the principal’s office a bit too frequently. These characters shape how we think the world is supposed to operate. For example, Rapunzel taught me that men can climb hair to rescue a damsel in distress; I learned from Snow White that women who sang to birds were instantly more attractive and it was bonus points if you could get the birds to help you clean. These interpretations are in no way meant to hold realistic ground, but the operations that they teach and the way these stories portray interactions and set expectations are anything but fantasy. As a society, the stories that we tell our children are meant to convey meaning that is deeper than the words on the page. We tell stories because they represent a past or a future we wish to create. We choose particular characters because they exemplify extreme characteristics and behavior we can then tell our children is ‘good’ or ‘bad.’ We do the same thing when we teach history. We focus on historical figures in the same way we focus on storybook heroes: they exemplify something we want to embrace as part of our past. The characters that we choose to discuss, both in fairytales and in reality, are reflective of societal standards and the narratives we have chosen to be part of our history. The last few weeks, I have encountered stories and characters across Poland and Lithuania. I have heard stories dating to the first settlers in the region and spoken with a Holocaust survivor. I have seen wonderful happiness and terrible destruction; I have laughed and I have cried in these lands. When I think about my incredible experiences here, I find it hard not to take a step back and ask questions about these experiences. What has shaped these experiences and what are the pasts I am learning here? Somewhere in the space between Vilnius and Warsaw, I started asking myself “Why is this the story I am hearing?” and “Why is this the character they are telling me about?” Each person who was part of my journey (tour guides, witnesses, professors, and others), I’ll call them ‘educators’ for clarity, was trying to convey a certain message. They were trying to tell me a story about particular characters in their story with a selected and deliberate message (a note of clarity on language: when I use the term “characters” I am not erroneously referring to the notion that the people the stories are about aren’t real people, rather I am trying to put out the idea that history really is a narrative, a story we select and tell to one another). Through asking myself some of the aforementioned questions, I came to the conclusion that each of my educators was trying to tell a narrative with hopes that I would walk away understanding “the moral of the story” so to speak; a lesson or a quality they hoped would stick with me in my understanding of the history they were trying to tell. In the same way that children’s books tell stories that indicate societal standards and promote certain ways of life, historical narratives that we tell promote the type of society and the attitudes within that society that we are trying to create. I argue here that by changing which stories we tell and how we tell them, we can change the way a society looks at its past, interacts in the present, and plans for a healthy future. With the idea in mind that each of my educators was trying to tell a story, I began identifying each story and it’s central message. 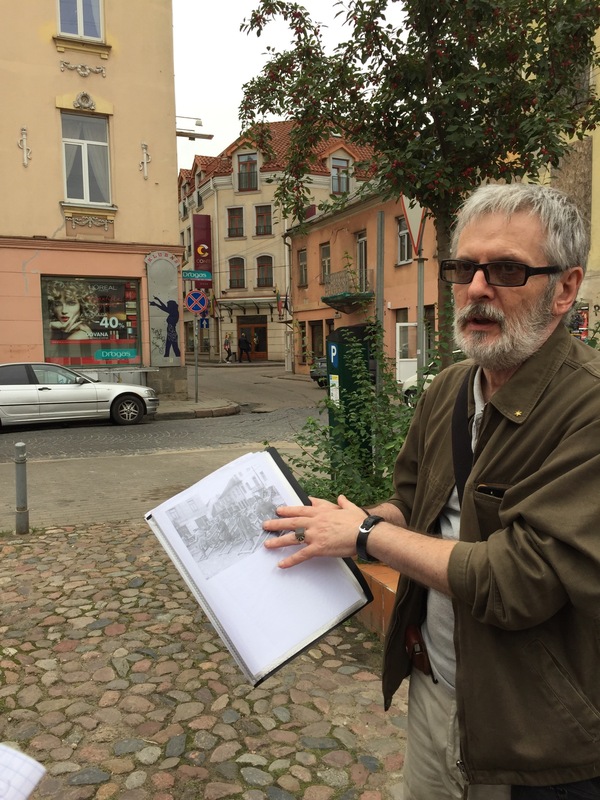 Our very first tour was with a man named Ilja, and he gave a Jewish history of Vilnius, Lithuania. 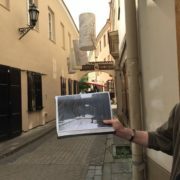 Though we did gain knowledge of the long Jewish history of the city, the core of our tour was on the Vilnius ghetto and World War II tragedies from the city. Ilja was giving a very specific story and his overall message seemed clear: Jewish people once made up a big part of East and Central European culture. They were in integral part of society prior to World War II, not just a passive group that accepted their demise. And yet, Germans alone hadn’t killed the Jewish people. It was the Lithuanian community that had once worked alongside Jews that actively took part in killing their neighbors. 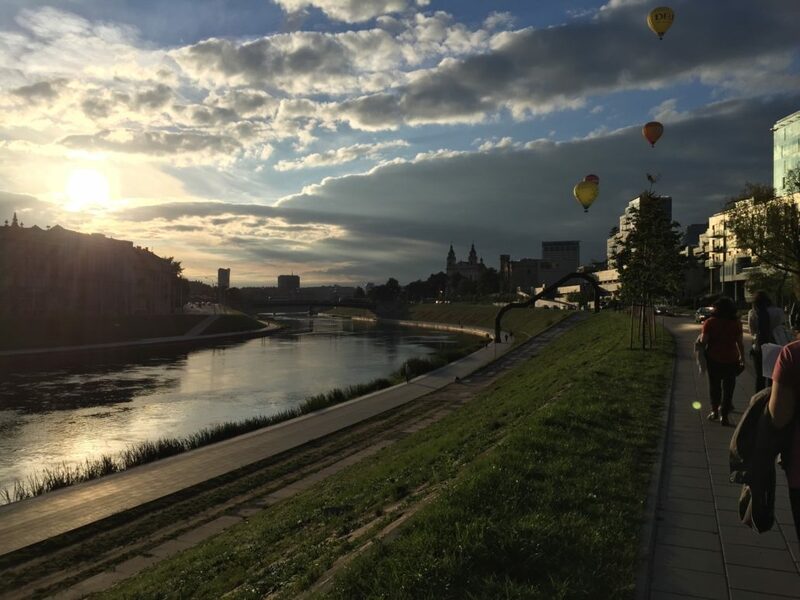 Martyna’s tour featured a Lithuanian perspective. This photo is from the end of the tour and the river separating the Soviet parts of the city with the “Old Town. Later that afternoon, we had a tour of Vilnius by a woman named Martyna. 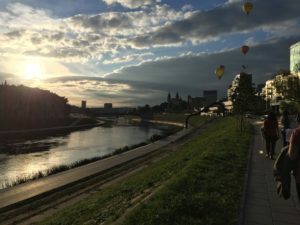 This tour was about the city of Vilnius from a Lithuanian perspective. Martyna began with how the city was founded, told Lithuanian history through Soviet times, and finished by talking about the events since Lithuania became independent after the fall of Soviet Russia. This was a much different tale than the one we had heard that morning; Martyna’s tale was of Lithuanians facing various oppressive forces (German and Soviet) for many years before finally gaining their independence. In contrast to Ilja, she almost didn’t mention World War II and didn’t at all mention how Lithuanians had participated in the killing of the region’s Jewish population. Neither of these stories is wrong, and yet neither tells the whole truth. In his focus on the Jewish history of Vilnius, Ilja’s story fell short in including other Lithuanian narratives, such as the impact of intense propaganda against Jewish citizens of the city, or that Lithuanians were being oppressed by multiple occupations. Martyna emphasized that her fellow Lithuanians had been victims of oppression, but avoided the topic that they were also complacent and even helpful in the horrific Nazi actions of the 1930’s and 1940’s. The storytellers for a deliberate reason choose which story to tell in order to promote the historical message they hoped I would walk away carrying. As the messages cleared up, I began asking myself if these narratives were the right way of teaching about a city. 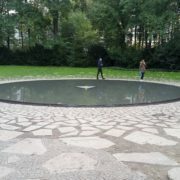 My group was fortunate enough to get both tours and I was able to extract important information, see how various peoples were affected, and piece together a narrative that includes both the Jewish and Lithuanian histories. But the history we were able to piece together would not have been possible without extrapolating information obtained in both narratives. These two stories involved groups of people very important to Lithuania’s regional history, but they tell divisive stories of two different groups of people: Lithuanians and Jews. They tell these stories as if Lithuanians and Jews had lived apart from one another, like different kingdoms in a children’s storybook. However, Lithuanians and Jews weren’t separate realms. They lived in the same town, farmed the same land, went to the same markets, and even ran businesses together. Vilnius, Lithuania has been referred to as the Jerusalem of Lithuania (Snyder 1). Jewish families had been in the territory that is now Lithuania just as long, if not longer, than their so-called “Lithuanian” neighbors. Jewish history is Lithuanian history and Lithuanian history is Jewish history. Yet Vilnius walking tours tell one side of the past or the other, not the complete, cohesive history. To answer my earlier question regarding the proper teaching of this historical narrative, I decided no, this is not the right way of teaching a city’s past. 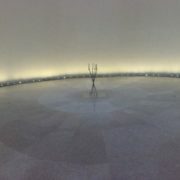 Rather than telling the collective history, the educators from this part of my journey had separated the two groups. Outside of the walking tours, our classroom discussion revolved around how this type of past still plays into prejudice and anti-Semitic feelings in Lithuania today. How can we change the narrative? It is so hard as a population to take ownership of actions from the past, especially the actions that were inhumane, because we frequently feel like they aren’t ours to claim. “We didn’t do that,” “we don’t act like that now,” or “well times were different then” are thoughts frequently expressed in societies where a past population has caused turmoil. Take the United States for example. In my homeland, whites enslaved African men and women, one population treating another horribly. Today, over 150 years since the Emancipation Proclamation, segregation is no longer legal, and yet it is still present. We as a society are grappling with the social constraints put on people of color that are the result of hundreds of years of legal oppression. It is only on September 24 of this year that we opened the National Museum of African American History and Culture, a step in the right direction of recognizing a collective history of blacks and whites. The United States is still working to reconcile our rocky past with race and ethnicity. Thinking about this, it is easier to understand why it is hard for Lithuanians to come to terms with a past where their people, who knew very well the feeling of oppression, brought oppression, harm, and death to their neighbors. One foundation has chosen to face the hard task of historical reconciliation head on. 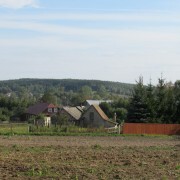 The Borderlands Foundation is based in Sejny, Poland. Sejny is a small town right on the border of Poland and Lithuania. In this region, people found themselves bouncing back and forth between being “Polish” and “Lithuanian” as the border of the two countries changed frequently; the little town of Sejny has changed hands 11 times. Going even further back in history, prior to World War I, Poland wasn’t on the map at all and Sejny was part of the German Empire. Sejny epitomizes what it means to be a “town on the border” both geographically and through the identity struggles surrounding the conflicted past its people face. Sejny was once comprised of Lithuanian, Polish, and Jewish people. The townspeople ran businesses together and interacted in the same ways the people of Vilnius did. That is, until the war. In the mid-19th century, the Jewish community made up 72 percent of the town’s population, but after the war there was only one survivor of the Jewish community in Sejny and he had left town before the war began. Post-World War II, individuals of Sejny not only struggled with personal losses, but the community faced the Polish/Lithuanian divide and the loss of their Jewish community. The Borderlands Foundation arrived in Sejny in 1991, right after the end of communism in Poland, and was established with the purpose of helping people reconcile their hurtful past and rehabilitating their ancestors’ past experiences with the current world. 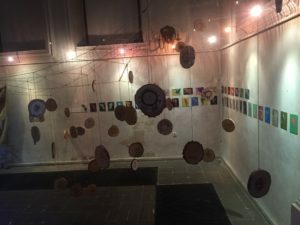 They do this by combining “hands-on cultural activism with literary, public intellectual, and scholarly endeavors that center on the recover and celebration of rich East-Central European regional heritage” (Zabrowska 1). This is a complicated process that takes diligence; it is work the people at Borderlands have devoted their lives to. The point I would like to focus on is the way they teach history’s dialogue. The characters in the stories they focus on help cultivate a communal past rather than the segregated one I saw in Vilnius. The Borderlands Foundation addresses animosity head on to teach reconciliation, a method aimed at attaining historical harmony that should be used in educational programs everywhere. In one of the Borderlands’ workshops, children draw on tree “cookies” how they imagine the interconnectedness of the world to look. In this setting, students feel freer to share their own cultures’ past. Remember, the students in these areas have many different backgrounds. In East-Central Europe, sharing these backgrounds isn’t always encouraged in their regular schooling, but at the Borderlands, ethnically Polish children are encouraged to share their culture’s stories with their ethnically Lithuanian counterparts and vise-versa. Each one of these meanings feeds into a deeper understanding of Sejny’s collective past. Through just this one workshop, the Borderlands Foundation has created a generation of children who can talk about their differences in compassionate and understanding ways and children who have knowledge of their region’s past. In addition, the Foundation offers many other workshops aimed at the same type of education, but in different formats so as to appeal to different interests. As the children grow, workshops begin to encourage them to talk to older members of the community to understand the complex past. Students conduct interviews and turn the interviews into videos or projects that tell the community’s past through first-person narratives. The prior workshops have provided students with a vocabulary and understanding to tackle the complex issues through mature eyes not many populations see in young people. The kids who go to the Borderlands Foundation grow up there. The Foundation prepares them for life’s conflicts in dozens of powerful ways that educational systems world wide are still striving to achieve. The foundation has been around for 26 years now and some of the students who were part of the first few years have grown up and are returning to help the Foundations’ efforts, proving that this type of education resonates and reconciles. The Borderlands Foundation is a game changer for teaching history and telling stories. 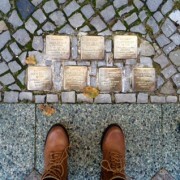 They are proof that it is possible to educate a cohesive past. The lessons we learn don’t have to be divisive. Our past can be just that: ours. Polish people can share in the identity conflicts faced by Lithuanians, Lithuanians can understand conflicts the Poles faced when trying to even get on the map, and the community as a whole can hurt for the loss of its Jewish members. Our history doesn’t have to see victors that share our individual ethnicity. We can learn to empathize with the people from our region and generate an understanding of how their victors are our victors and their hurt is our hurt. Lithuanian history is Polish history and is Jewish history. 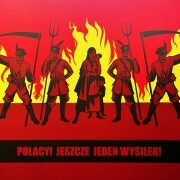 Polish history is Jewish history and Lithuanian history. 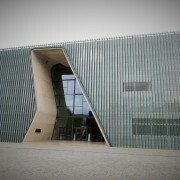 And Jewish history intertwines with Polish, Lithuanian, and European history. They aren’t different stories, they are our stories. Timothy Snyder, “Neglecting the Lithuanian Holocaust,” The New York Review of Books, http://www.nybooks.com/blogs/nyrblog/2011/jul/25/neglecting-lithuanian-holocaust/.